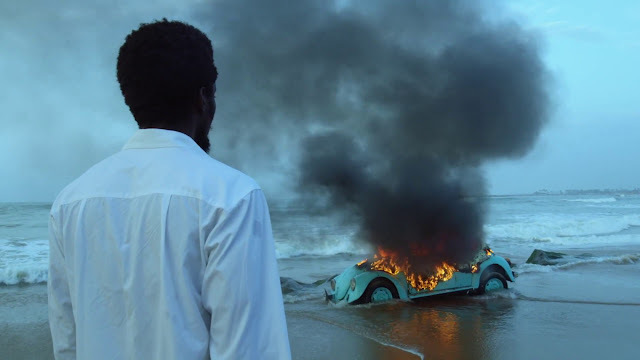 The Burial of Kojo begins with the striking image of a VW Beetle, mired on a beach in the tideline, engulphed in flames. With this esoteric picture, writer/director Sam “Blitz” Bazawule sets the mood and crafts a dreamy, lovely piece of allegorical surrealism. Heavy on myth and symbolism, the easiest comparison points are Beasts of the Southern Wild and African magical realism like Ben Okri’s extraordinary novel The Famished Road. The story tracks familial hardships and dysfunction through the eyes of a young innocent and with an air of dream logic and a sense of wonder and awe. In Ghana, young Esi (Cynthia Dankwa) recounts the turbulent relationship of her father, Kojo (Joseph Otisman), and his brother, Kwabena (Kobina Amissah-Sam), their strained story, economic hardship, the weight of legend and prophecy, and the strain of love. It’s a story of duality: worlds exist between the verge of life and death, the brothers are family but also rivals, life is grim and tough but also miraculous and charmed. It’s about finding beauty in ugliness and hardship, an idea reflected in the construction. Languidly paced, Blitz and cinematographer Michael Fernandez fill their film with sweeping drone shots. They invert images and reverse footage, both unsettling the audience and forcing viewers to observe from an unconventional point of view. Ubiquitous use of slow motion creates a sensation of floating, swimming, submersion that ties to the water motif throughout—baptism, burial, rebirth, are but a few of the biblical allusions. 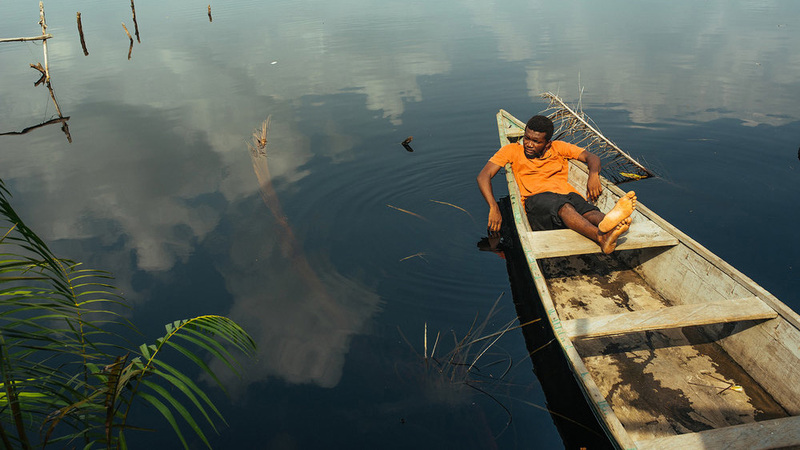 Steeped in folklore and oral storytelling tradition, The Burial of Kojo does occasionally feel narratively slight, more like a gauzy tale passed down and told round a bonfire than a movie with fully fleshed out characters and story. 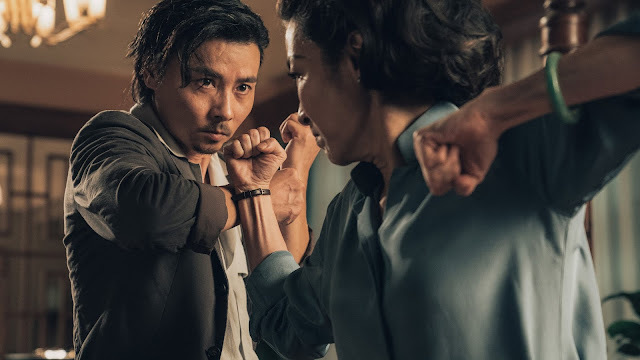 A truncated run time doesn’t help matter in this regard—it clocks in at a scant 80 minutes, but if you lop off the end credits, the reality is more like 72. 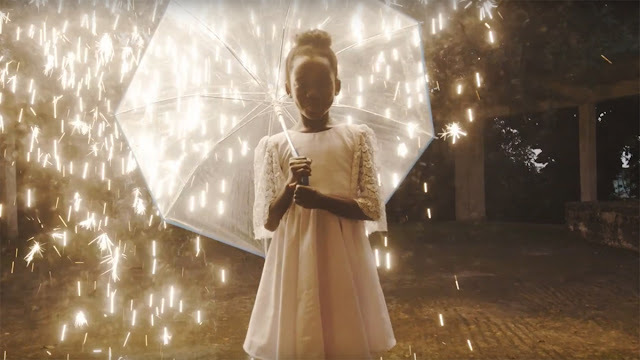 Produced by Terrance Nance and Jesse Williams, and distributed by Ava DuVerney’s ARRAY Releasing, The Burial of Kojo has made film festival rounds, played in a few cities, opens in a select few more sarting March 29, and lands on Netflix March 31.